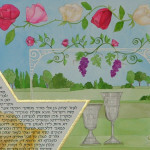 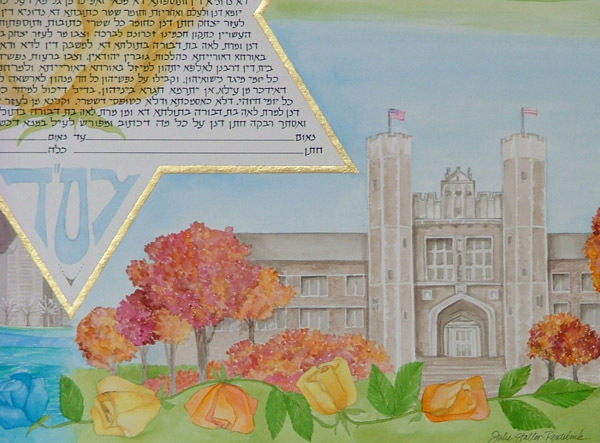 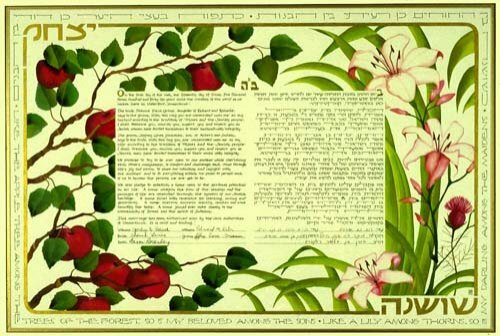 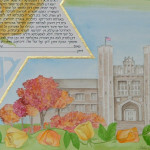 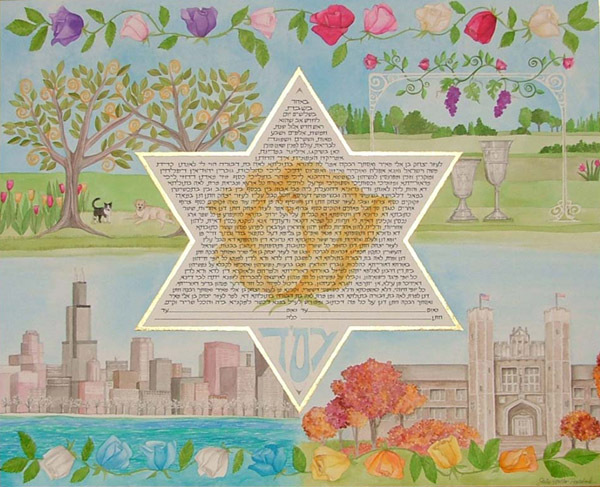 This Ketubah was created for a couple in Chicago. 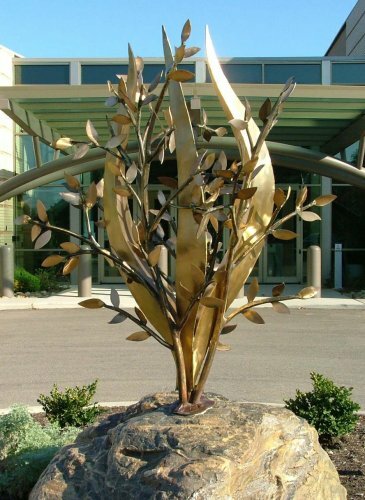 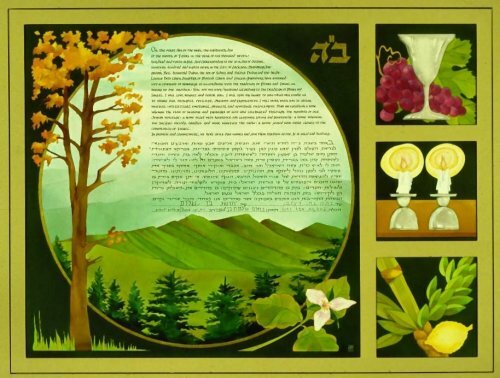 They wanted to have images of the changing seasons going around the piece in order of their occurance and reflecting their lives and family. 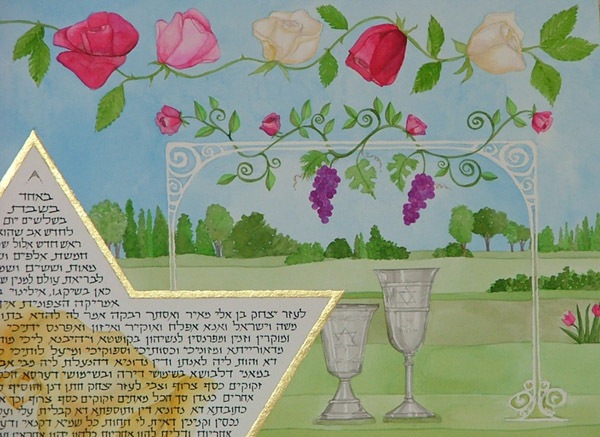 The roses as borders changed colors accordingly. 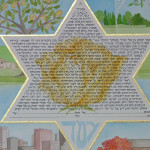 For each season, a view of their lives is captured and surrounds the soft yellow rose behind the text. 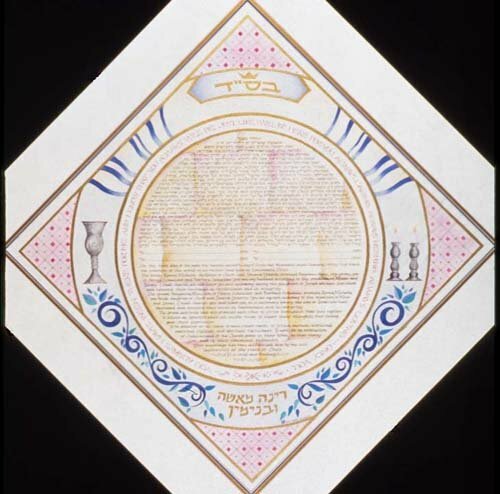 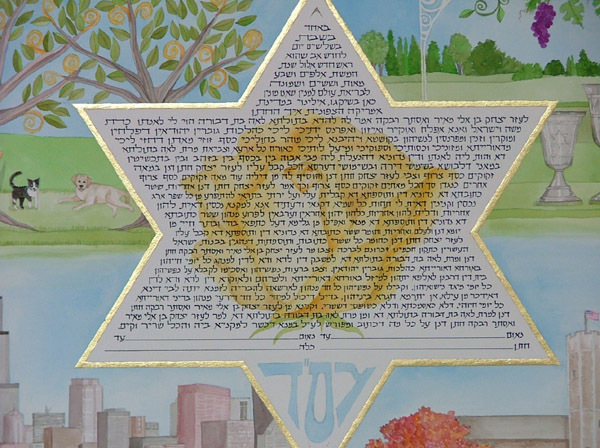 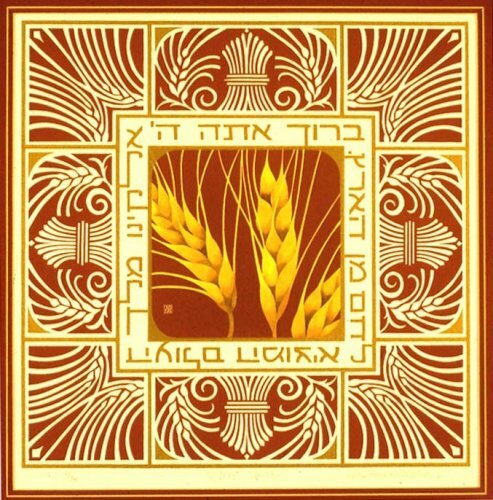 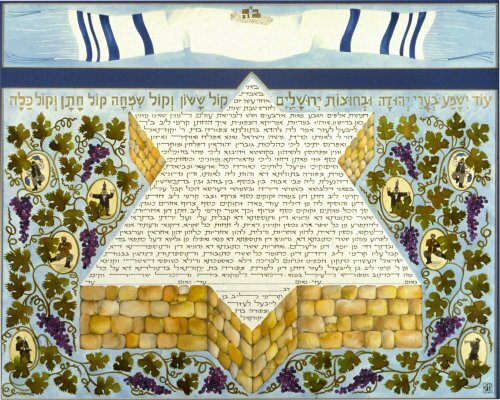 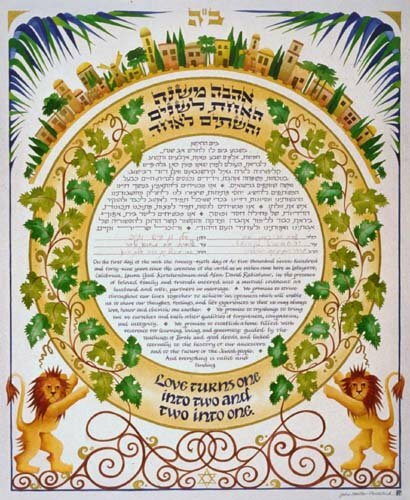 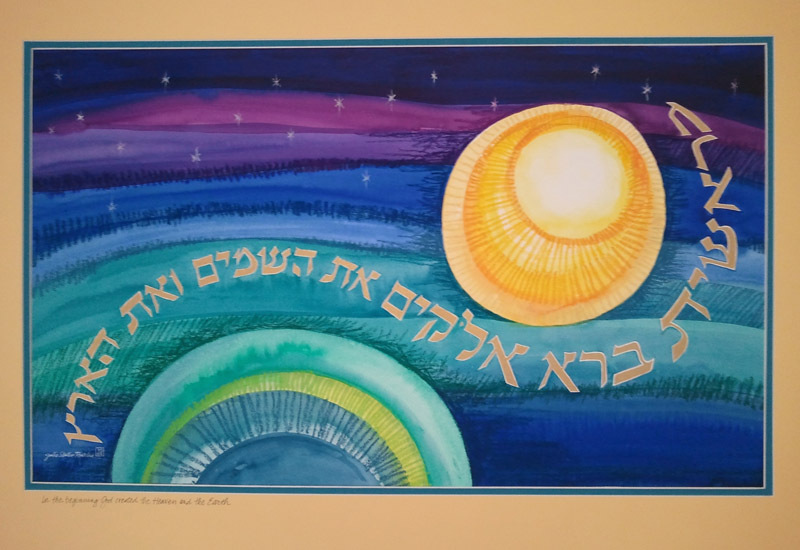 The Ketubah is illuminated with 23 karat gold leaf.